The original Kingmax Super Stick that died on me a few months back is now being replaced (under warranty) with a newer version which I shall call Kingmax Super Stick (Vista) due to its revised physical appearance with a “Works with Windows Vista” label. 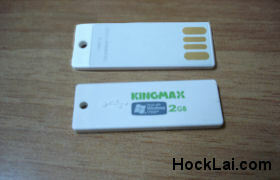 The Kingmax Super Stick (Vista) is still one of the smallest USB drive available in the market today. While the previous Super Stick performs badly in read/write speeds, this newer Vista version seems to have improved significantly especially in the write speed. A test on SiSoftware Sandra XI 2MB files test benchmark gives a pretty good read speed of 15906 kB/sec (previously 15770 kB/sec) and an improved write speed of 3959 kB/sec (approx. 2 times faster than the previous 1843 kB/sec). Physically, the new Kingmax Super Stick (Vista) inherits most of its predecessor’s properties with slight changes in its overall plastic mold. The USB contact points are now better refined, but it still lacks a LED activity indicator which can be very useful to know if the USB drive is in use. Overall, the new Kingmax Super Stick (Vista) has improved significantly in its read/write speeds which will make it on par with many other USB drives in the market in the the same price range. 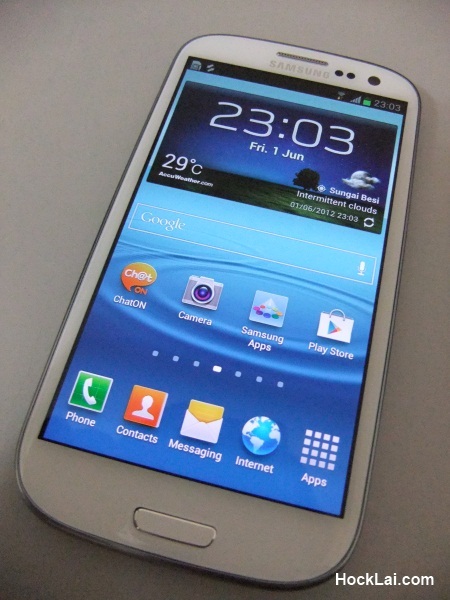 Its small size will be the only thing that differentiates it from the rest. Please refer HERE for the original review of the Kingmax Super Stick which is currently R.I.P. so how is your Kingmax Super Stick 2GB (Vista) now? still working? you tested the speed in windows vista?